What’s so great about an adjustable pillow? 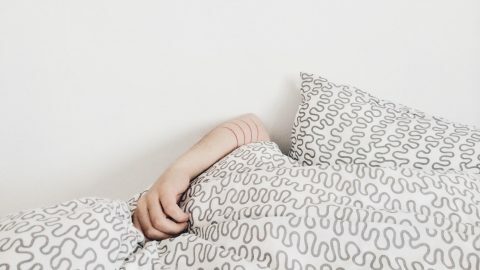 Consider the reason we sleep on pillows in the first place: they help to keep our head in neutral alignment while we sleep. Ideally your head should be perpendicular to your shoulders and your neck should not be bent too far in any direction. Your pillow fills the gap between your head and the mattress below it, keeping your body consistently and comfortably aligned. No single pillow is right for everyone. It’s hard to find the right pillow. 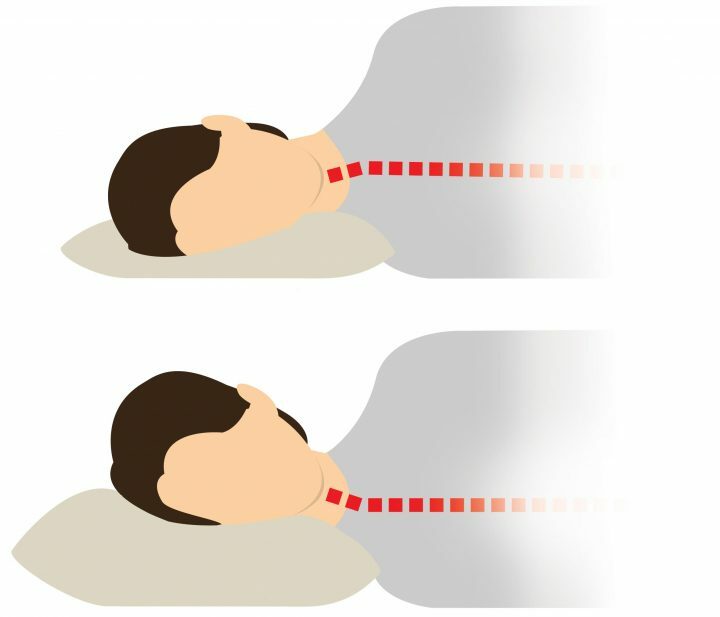 Sleeping with one that is too soft or thin will cause your head to lay too low, creating a downward bend in your neck. Conversely, using a pillow that’s too thick will create an upward bend. Neither is comfortable or conducive to restful sleep. It’s simple: unnatural bends and twists in your spine can cause muscle strains and put pressure on nerves. Your spine is best off when it’s straight. An adjustable pillow has the perfect loft, just for you. An adjustable pillow isn’t too thick or too thin. Pillows are often manufactured in a few loft variations, each specific to our sleep position. Side sleepers generally require a thicker, high loft pillow, while back and stomach sleepers are better of with low loft varieties. With an adjustable pillow, it doesn’t matter if you’re a side, back or stomach sleeper; it will accommodate all sleep positions and body types. An adjustable pillow allows its fill to be added or removed so it can be dialed in to your personal preference. As long as the case has a zippered opening, you can add or remove whatever you want until you’ve perfected the pillow’s loft (thickness). One thing to keep in mind—Some fill types like down and shredded latex can be very messy. For this reason, pillows containing these types of fill are only manufactured with a sealed, sewn-shut case. 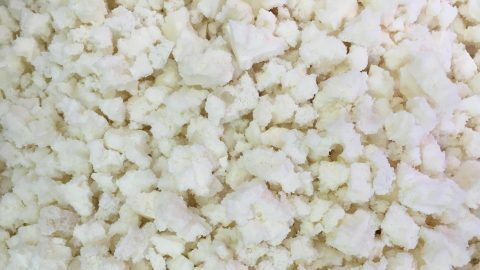 If you’re willing to do the unpleasant work involved with adding or removing messy fill, you can make your own zippered case and purchase the fill separately. If you’re not the do it yourself type, zippered pillow cases are also available at large retailers like Amazon. Unfortunately gimmicks and misrepresentations are prevalent in the adjustable pillow market. A layered pillow might be a convenient improvement over your sad old flat collapsed pillow. Gimmick? Layer pillows are a little silly. A new trend in adjustable pillows: so called, “layer pillows.” These are simply a stack of very thin pillows stacked and contained within a box-shaped fabric case. You add or remove the layers to make the loft appropriate for you and your sleep style. Most are filled with down alternatives made from rayon, polyester or cotton. 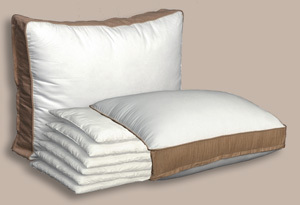 Each layer of the pillow restricts the fill contained. They prevent the fill from moving freely within the entire pillow’s form, so its shape is more or less constant and not moldable. It will not conform to the shape of your head like a non-layered pillow type. Down alternatives aren’t very effective at providing proper support for your head and neck. The weight of your head will compress the fill and make it thinner as you sleep. They require frequent fluffing to keep their loft. Finally, the multiple layers prevent air flow, each container potentially retaining your body heat. Nobody likes constantly flipping to the cool side of the pillow! Misrepresentation? Bamboo pillows are not eco-friendly. 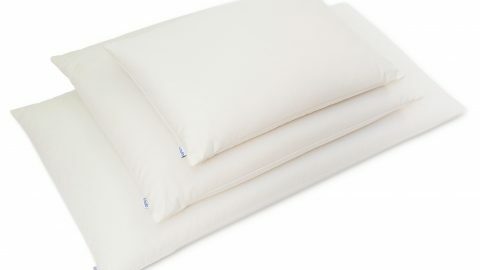 A good portion of the adjustable pillow market consists of so-called bamboo pillows. Some contain a fluffy fill made from bamboo, but most actually contain memory foam, a potentially toxic material. These “bamboo pillows'” cases are made from a material called viscose, a type of rayon, which is derived from bamboo. It’s a popular fabric with a luxurious appearance—smooth and shiny, yet affordable. 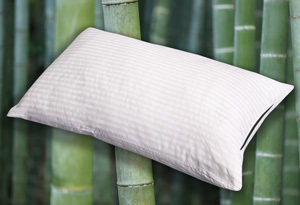 Bamboo sounds like an environmentally responsible, safe component to use in a pillow. Marketers love to use the term bamboo, because it appeals to eco-conscious consumers. In reality, viscose rayon is pretty nasty stuff. It’s processed using using very toxic chemicals like carbon disulphide to turn it into useful fibers. Production results in the emission of hazardous air pollutants. Bamboo pillows are not the happy eco-friendly products they’re made out to be. The FTC agrees: several large retailers were warned in 2009 about misleading bamboo claims. An unzipped pillow reveals the buckwheat hull filling contained. The best adjustable pillow option is, in my opinion, vastly under-appreciated. Have you ever slept on a buckwheat pillow? Despite having been around for centuries, most have never heard of a buckwheat pillow, let alone tried one. all natural and animal free. breathable and cool. 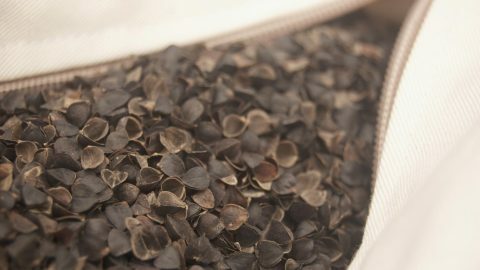 The buckwheat hulls allow air to circulate freely all night long. super supportive, conforming perfectly to the shape of your head and neck. Years ago, at a friend’s urging, I bought a buckwheat pillow and was so impressed that I started manufacturing and selling them. 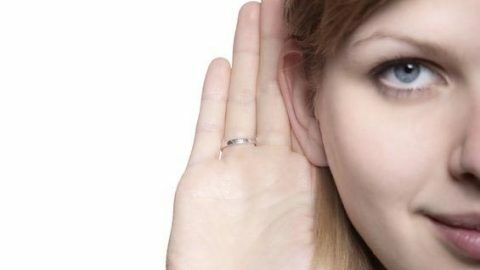 They’re amazing, but don’t take my word for it—check out these reviews from our customers. Adjustable pillow or not, sleep on it. While an adjustable pillow is a safer buy than a non-adjustable one, there is no substitute for literally sleeping on it. Squeezing a pillow inside plastic packaging at the store isn’t the way to find your ideal pillow. You really need to test drive them in your own bed. Check the manufacturer’s return policy and make sure that you’re able to try it for at least a week. If it’s not right for you, toss it back in the box and return it. You spend a third of your life with your head resting on a pillow, so a little shopping and experimentation is absolutely worth it. Sleep on Hullo for 60 nights and if it isn't the right pillow for you, just ship it back to us for a refund.